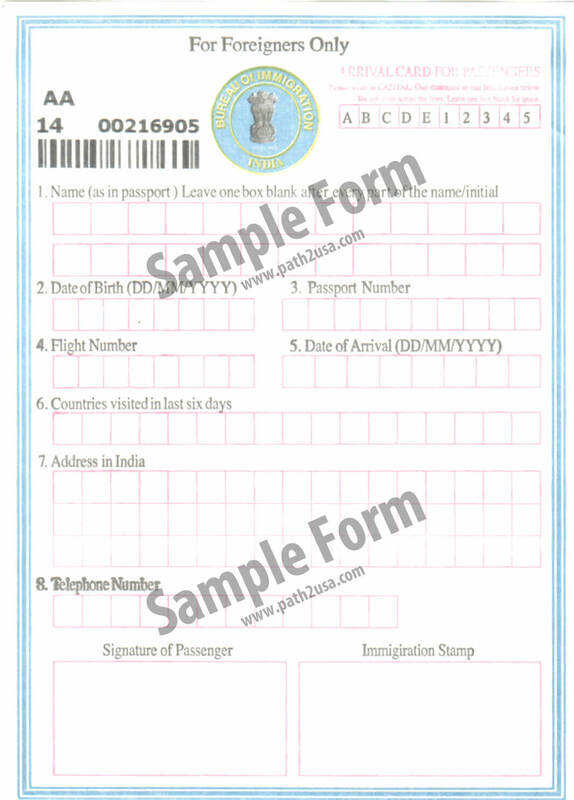 Following is a sample India Government Immigration Arrival Form also called the Disembarkation card, required to be completed by all foreign nationals entering India. 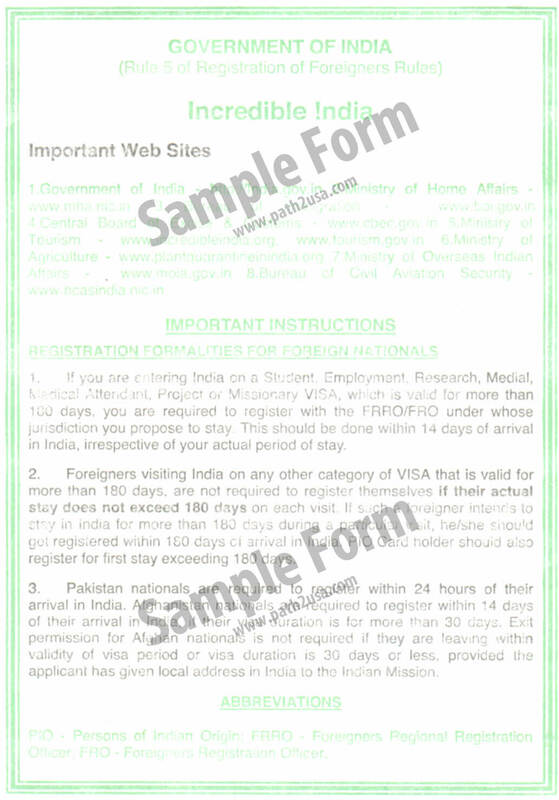 This form will be provided by the airline before landing in India, or you can get it at Indian airport's arrival section. Indian citizens, returning back to India after their overseas trip, are no longer required to fill in Disembarkation Card (Arrival Form)upon arrival. This sample is for reference purpose only. The appearance, color, or content of this form may differ and is subject to change by the issuing authority.